Save A Child’s Heart presentation at Beth Weizmann Community Centre. 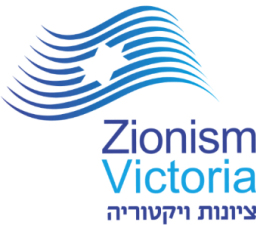 Dozens of people filled the Beth Weizmann auditorium on Monday night (1/12/14) for a community event hosted by the Zionist Council of Victoria (ZCV), Australasian Union of Jewish Students (AUJS), Australasian Jewish Medical Federation (AJMF) and AUSiMED, to learn about the Save A Child’s Heart organisation (SACH). SACH is a ground-breaking Israeli initiative that provides paediatric cardiac treatment to underprivileged and impoverished children from around the globe regardless of ethnicity, religion or nationality. Executive Director Simon Fisher began the event by highlighting how vital and beneficial organisations like SACH are, while emphasising the importance of their second major aim, after treatment of congenital and acquired heart diseases, which is training new paediatric cardiac surgeons, nurses and carers, sharing knowledge globally and helping build centres of medical competence in areas otherwise unequipped to deal with paediatric cardiac disorders. Mr Fisher then introduced Dr Yayehyriad Mekonnen, who is currently training at the Wolfson Centre in Holon, Israel, and is set to become Ethiopia’s first ever paediatric heart surgeon. Dr Mekonnen was born and raised in Ethiopia where he studied to become a general surgeon before taking up a training position with SACH in Israel. He explained to the captive audience how meaningful and significant it was to him to be able to help his people, many of whom are dying unnecessarily due to lack of resources and expertise in the region. He explained that Ethiopia’s 90 million strong population was comprised mostly of people aged under 18, and that 1 in every 100 babies born had a congenital heart disorder, so there are an incredibly large number of people who need the medical attention SACH provides. Mr Fisher acknowledged that SACH was a burden on the Israeli government funded hospital they operate in, despite the fact that many specialists volunteer their time and skills to bring the price of each operation down to $10, 000. It was pointed out that the acceptance of these financial sacrifices stand as testament to Israel’s commitment to improving and saving lives, regardless of who they belong to. Despite these obstacles, SACH still manages to treat between 200-250 children each year, however thousands more children in impoverished countries such as Ethiopia, simply cannot get treatment. Dr Mekonnen was humbled yet palpably excited by the prospect of going back to Ethiopia to begin the long process of establishing a successful centre for treating paediatric cardiac disorders. He modestly acknowledged that “everything comes from nothing” so now where in Ethiopia there is ‘nothing’, he will “start to build something”. Both Dr Mekonnen and Mr Fisher stressed however that the task of saving children’s lives was far greater than any one organisation, and that they were creating a global network of similar minded institutions to help treat paediatric heart disorders worldwide. While SACH has treated over 3000 children since its inception in 1996, Mr Fisher stressed that at this stage, they still simply have to take it one child at a time. Previous Pro-Israel On-Line Community & Unexpected Friends.